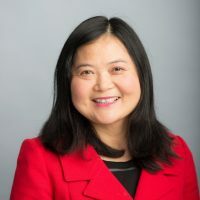 Guofang Li is a Professor and Canada Research Chair (Tier 1) in Transnational/Global Perspectives of Language and Literacy Education of Children and Youth in the Department of Language and Literacy Education, Faculty of Education, University of British Columbia, Canada. Her recent research interests are longitudinal studies of immigrant children’s bicultural and bi-literacy development through the educational systems, immigrant children’s new literacies practices in and out of school, technology-infused ESL/EFL instructional approaches, diversity and equity issues, and teacher education and professional development for culturally and linguistically diverse children and youth. As one of the leading scholars in the field of second language and literacy education, Li has published 12 books and over 100 journal articles and book chapters in English and Chinese, and presented over 100 papers worldwide. Li is the recipient of numerous national and international awards including the 2013 and 2006 Ed Fry Book Award of the Literary Research Association (LRA) (formerly the National Reading Conference), the 2011 Publication Award from ACPSS, the 2010 Early Career Award at American Educational Research Association (AERA), and the 2008 Division G Early Career Award of AERA. Yin, X., Li, G., Guo, W., & Zhou, D. (2019-2021, Co-PI). 新疆维吾尔族贫困家庭学前儿童的语言能力发展研究 (Xinjiang low-SES Uyghur kindergarten children’ early literacy development), 200,000 (Chinese Yuan) The National Social Science Fund of China (NSSFC, 中国国家社科基金), funded. Li, G., & Gunderson, L. (PI). Behind the model minority mask: Identifying early factors in Cantonese- and Mandarin-speaking children’s divergent literacy and academic trajectories in Canadian schools. SSHRC Insight Grant, 2018-2023. Examining the relationship between student teachers’ emotional labor strategy, teaching achievement goal, and self-efficacy. International Study Association on Teachers and Teaching (ISATT), Collaborative Research Grant, 2018-2019. Home language environment and bilingual children’s language and literacy development: A review of literature, HSS Seed Grant, UBC, 2017. Li, G., Kraemer, R., & Dolean, D. D. (PI). Home language environment and bilingual children’s language and literacy development: A multi-sited, cross-linguistic study. RITS Seed Grant, Department of Language and Literacy Education, Faculty of Education, University of British Columbia, 2017. Chinese Immigrant Students’ Biliteracy Development Trajectory in Canada: A Longitudinal Study of Within-ethnic Variance. RITS Seed Grant, Department of Language and Literacy Education, Faculty of Education, University of British Columbia, 2015. Pre-service teachers’ preparation for teaching English Language Learners: A mixed methods study. Department of Teacher Education, College of Education, Michigan State University, 2014. Keck, S., & Li, G. (Co-PI). A Comprehensive Professional Development Plan for Teachers of ELLs in Lansing School District. Stimulus Title 1 Funding, Office of Chief Academic Officer, Office of State and Federal Programs, Lansing School District, 2009-2010. Wei, P., & Li, G. ( Co-PI). Pathways to bilingualism: E-Learning and the teaching of modern foreign languages. U.S. Department of Education (P017A060079), 2007-2010. Certo, J., Li, G., Wibbens, E. & Martin, N. (Co-PI). Examining immigrant parents’ beliefs and expectations about literacy. Graduate School of Education, University at Buffalo, 2003. Ed Fry Book Award, Literacy Research Association for Culturally contested literacies: America’s “rainbow underclass” and urban schools (Routledge), 2013. Early Career Award, American Educational Research Association (AERA), 2010. Early Career Award, Division G: Social Context of Education, American Educational Research Association, 2008. Ed Fry Book Award, National Reading Conference for Culturally contested pedagogy: Battles of literacy and schooling between mainstream teachers and Asian immigrant parents (SUNY Press), 2006. Leadership in Education Tour to Japan, invited and sponsored by the Japan Society, New York, 2006. Young Investigator Achievement Award, University at Buffalo (university-wide award for junior faculty research achievements), 2004. Finalist, American Educational Research Association Outstanding Book Award for “East is East, West is West”? Home literacy, culture, and schooling (Peter Lang), 2004. Best Article Award, Margaret Gillett Award, McGill Journal of Education, 2001. Social Sciences and Humanities Research Council of Canada (SSHRC) post-doc fellowship, 2000-2002. Second Place, Canadian Association of Curriculum Studies Dissertation Award, 2001. Doctoral Thesis Scholarship, College of Graduate Studies and Research, University of Saskatchewan, 1997- 2000. Dr. Kay Whale Memorial Book Prize Award, 1998. Honorary Award, Women’s Studies and Research Unit, University of Saskatchewan, 1998. Lownsbrough Memorial Scholarship in Education, University of Saskatchewan, 1997. Honorary Award, Women’s Studies and Research Unit, University of Saskatchewan, 1997. Ma, W., & Li, G. (Eds., in press): Beyond test scores: Understanding the hearts and minds of Chinese students in K-12 schools in the United States. New York: Routledge. Li, G. (Ed., 2009). Multicultural families, home literacies, and mainstream schooling. Greenwich, CT: Information Age Publishing. Li, G. (2008). Culturally contested literacies: America’s “rainbow underclass” and urban schools. New York: Routledge. Li, G. (2006). Culturally contested pedagogy: Battles of literacy and schooling between mainstream teachers and Asian immigrant parents. Albany, NY: SUNY Press. (Winner of Ed Fry Book Award, National Reading Conference, 2006). Li, G., & Beckett, G. (Eds., 2006). “Strangers” of the academy: Asian women scholars in higher education. Sterling, VA: Stylus Publishing. Li, G. (2005). Asian-American education across the class line: A multi-site report. Buffalo, NY: GSE Publications and SUNY Press. Li, G. (2002). “East is East, West is West”? Home literacy, culture, and schooling. New York: Peter Lang. (Finalist, American Educational Research Association Outstanding Book Award, 2004). Li, G. (Ed.) (2013). Effective professional development for teachers of culturally and linguistically diverse (CLD) students: Issues and perspectives [Special issue]. Theory Into Practice, 52, 77-143. Li, G., Lin, J., & Wang, H. (2014, invited). Rethinking identity and agency in minority education: preparing Asian American leaders for a global future. New Waves-Educational Research and Development Journal, 17(1), 50-65. Li, G. (2013). Social class, culture, and Asian social positioning: Rethinking literacy and power in the new millennium. New Waves-Educational Research and Development Journal, 16(2), 1-9. Li, G., & Ni, X. (2013). Effects of a technology-enriched, task-based language teaching curriculum on Chinese elementary students’ achievement in English as foreign language. International Journal of Computer-Assisted Language Learning & Teaching (IJCALLT), 3(1), 33-49. Li, G. (2013). Promoting teachers of culturally and linguistically diverse (CLD) students as change agents: A cultural approach to professional learning. Theory Into Practice, 52(2), 136-143. Li, G. (2012). Literacy engagement through online and offline communities outside school: ELLs’ development as readers and writers. Theory Into Practice, 54(3), 312-318. Li, G., & Ni, X. (2011a). Primary EFL teachers’ technology use in China: Patterns and perceptions. RELC Journal: A Journal of Language Teaching and Research in Southeast Asia. 42(1), 69-85. Li, G., & Ni, X. (2011b). Elementary in-service teachers’ beliefs and uses of technology in China: A survey study. International Journal of Technology in Teaching and Learning, 6(2), 116-132. Lai, C., & Li, G. (2011). Technology and task-based language teaching: A critical review. Computer-assisted Language Instruction Consortium (CALICO) Journal, 28(2), 498-521. Ni, X., & Li, G. (2010). What can we learn from teachers’ IT Literacy: A survey study of IT in China’s basic education. Distance Education in China, 7, 63-67. Li, G. (2010). Race, class, and schooling: Multicultural families doing the hard work of home literacy in America’s inner city. Reading & Writing Quarterly, 26(2), 140-165. Li, G., & Ni, X. (2008). 新信息技术应用与意义构建型教学课程设计：理论和实践 (Information technology integration in meaning-based EFL curriculum design: Theory and practice), 新课程 (New Curriculum), 7, 4-6. Li, G., & Christ. T. (2007). Social capital and home literacy engagement: Case studies of low-SES single mothers’ access to literacy resources. English in Education, 41(1), 21-35. Li, G. (2007a). Home environment and second language acquisition: The importance of family capital. British Journal of Sociology of Education, 28(3), 285-299. Li, G. (2007b). Second language and literacy learning in school and at home: An ethnographic study of Chinese-Canadian first graders’ experiences. Journal of Literacy Teaching and Learning, 11(1), 1-40. Li, G. (2006a). What do parents think? Middle-class Chinese immigrant parents’ perspectives on literacy learning, homework, and school-home communication. The School Community Journal, 16(2), 25-44. Li, G. (2006b). Biliteracy and trilingual practices in the home context: Case studies of Chinese-Canadian children. Journal of Early Childhood Literacy, 6(3), 359–385. Li, G. (2005a). Family as educator: A Chinese-Canadian experience of acquiring second language literacy. Canadian Children, 30(2), 9-16. Li, G. (2005b). Other people’s success: Impact of the “model minority” myth on underachieving Asian students in North America. KEDI Journal of Educational Policy, 2(1), 69-86. Li, G. (2004). Perspectives on struggling English language learners: Case studies of two Chinese-Canadian children. Journal of Literacy Research, 36(1), 29-70. Li, G. (2003). Literacy, culture, and politics of schooling: Counternarratives of a Chinese Canadian family. Anthropology & Education Quarterly, 34(2), 184-206. Li, G. (2001). Literacy as situated practice: The world of a Chinese preschooler. Canadian Journal of Education, 26(1), 57-75. Li, G. (2000a). A conversation with Sandra Kouritzin on “Bringing life to research: Life history research and ESL.” TESL Canada Journal, 18(1), 87-91. Wen, M., & Li, G. (in press). Looking beyond the stereotypes and moving forward: cultivating hearts and minds of Chinese-heritage learners. In W. Ma, and G. Li (Eds), Chinese-heritage students in North American schools: Understanding hearts and minds beyond test scores. New York: Routledge. Wen, K., & Li, G. (in press). Chinese students’ heritage language learning in the United States: A review. In W. Ma, and G. Li (Eds), Chinese-heritage students in North American schools: Understanding hearts and minds beyond test scores. New York: Routledge. Li, G., Sweeney, J., Protacio, M. S., & Ponnan, K. (2013). A team-training approach to professional development: Perceptions and practices of in-service teachers of ELLs in two urban high schools. In Y. Bashevis & Y. Weidenseld (Eds. ), Professional development: Perspectives, strategies and practices. New York: Nova Science Publishing. Li, G. (2013a). Understanding ELL literacy from a cultural lens: An Asian perspective. In K. Hall, T. Cremin, B. Comer & L. Moll (Eds. ), International handbook of research on children’s literacy, learning, and culture (pp. 139-154). West Sussex, UK: John Wiley & Sons Ltd.
Li, G. (2013b). Poverty and minority children’s education in the US: Case study of a Sudanese refugee family. In D. J. Johnson, D. L. Agbényiga & R. Hitchcock (Eds. ), Vulnerable childhood in a global context (pp. 55-70). New York: Springer. Li, G. (2013c). Getting published and doing research. In R. Kutoba & Y. Sun (Eds. ), Demystifying career after graduate school: A guide for second language professionals in higher education (pp. 151-162). Greenwich, CT: Information Age Publishing, Inc.
Li, G. (2013d). Immigrant language acquisition: An international review. In S. Gold & S. Naywn (Eds. ), The international handbook of migration studies (pp. 271-282). New York: Routledge. Li, G., & Ni, X. (2012). Use of technology to support the learning and teaching of English in China. In C. Leung & J. Yuan (Eds. ), Perspectives on teaching and learning English literacy in China (pp. 145-160). New York: Springer. Li, G., & Wang, J. (2012a). Diversity among Asian Americans. In J. Banks (Ed. ), Encyclopedia of diversity in education. (pp. 151-154). Thousand Oaks, CA: SAGE Publications, Inc.
Li, G., & Wang, J. (2012b). Chinese immigrant parents’ perspectives on literacy learning, homework, and school-home communication. In E. Grigorenko (Ed. ), Handbook of U.S. immigration and education. New York: Springer. Estrada, J., Estrada, E., & Li, G. (2011). Communities as resources: Two teachers’ reciprocal learning from minority communities. In P. R. Schmidt & A. M. Lazar, (Eds), We can teach and we can learn: Achievement in culturally responsive literacy classrooms. New York: Teachers College Press. Li, G. (2011). The role of culture in literacy learning and teaching. In M. L. Kamil, P. D. Pearson, E. B. Moje & P. Afflerbach (Eds. ), Handbook of reading research, Vol. IV (pp. 515-538). Mahwah, NJ: Lawrence Erlbaum. Li, G., & He, M. F. (2011). Cultural overview of Sinic education. In Y. Zhao, J. Lei, G. Li, M. F. He, K. Okano, N. Megahed, D. Gamage & N. Ramanathan (Eds. ), Handbook of Asian education: A cultural approach (pp. 3-7). New York: Routledge. Li, G, He, M. F., Tsou, W., Hong, W. P., Curdt-Christiansen, X., and Huong, P. L. (2011), Teachers and teaching in Sinic education. In Y. Zhao, J. Lei, G. Li, M. F. He, K. Okano, N. Megahed, D. Gamage & N. Ramanathan (Eds. ), Handbook of Asian education: A cultural approach (pp. 51-77). New York: Routledge. Li, G., Du, L., Pang, I., Chang, S., Cho, H., Khong, L., & Canh, L. V. (2011). Home and community in Sinic education. In Y. Zhao, J. Lei, G. Li, M. F. He, K. Okano, N. Megahed, D. Gamage & N. Ramanathan (Eds. ), Handbook of Asian education: A cultural approach (pp. 105-133). New York: Routledge. Qin, B., Li, G., Rana, M., Han, E. (2011). Education of immigrants from Sinic civilization. In Y. Zhao, J. Lei, G. Li, M. F. He, K. Okano, N. Megahed, D. Gamage & N. Ramanathan (Eds. ), Handbook of Asian education: A cultural approach (pp. 157-180). New York: Routledge. Li, G. (2010a). Social class, culture, and “good parenting”: Voices of low–SES families. In M. M. Marsh & T. Turner-Vorbeck (Eds. ), (Mis)understanding families: Learning from real families in our schools (pp. 162-178). New York: Teachers College Press. Li, G. (2010b). The impact of social dynamics on immigrant children’s language and literacy practices: Learning from Asian families. In M. L. Dantas & P. Manyak (Eds. ), School-home connections in a multicultural society: Learning from and with diverse families (pp. 41-58). New York: Routledge. Li, G., & Protacio, S. (2010). Best practices in professional development for teachers of ELLs. In G. Li & P. Edwards (Eds. ), Best practices in ELL instruction (pp. 353-380). New York: Guilford Press. Li, G. (2009a). Behind the “model minority” mask: A cultural ecological perspective on a high achieving Vietnamese youth’s identity and socio-emotional struggles. In C. Park, R. Endo & X. L. Rong (Eds. ), New perspectives in Asian American parents, students, and teacher recruitment (pp.165-192). Greenwich, CT: Information Age Publishing. Li, G. (2009b). Toward a situated perspective on multicultural families and their home literacy practices. In G. Li (Ed. ), Multicultural families, home literacies, and mainstream schooling. (pp. xv-xxvii) Greenwich, CT: Information Age Publishing. Li, G. (2009c). Family literacy: Learning from an Asian immigrant family. In G. Li (Ed. ), Multicultural families, home literacies, and mainstream schooling (pp. 93-112). Greenwich, CT: Information Age Publishing. Li, G. (2009d). The “majority in the minority”: Literacy practices of low-SES white families in an inner city neighbourhood. In G. Li (Ed. ), Multicultural Families, Home Literacies, and Mainstream Schooling (pp. 175-196). Albany: SUNY Press. Liu, X., & Li, G. (2009). Equity and equality in Asian American science education: Unpacking the model minority myth. In W. M. Roth & K. Tobin (Eds. ), World of science education: North America (pp. 369-388). Rotterdam, The Netherlands: SensePublishers. Li, G., & Wang, W. (2008). English language learners. In T. Good (Ed.,), 21st century education: An encyclopaedia (pp. 97-104). Thousand Oaks, CA: Sage. Li, G., & Wang, L. (2008). Introduction: The old myth in a new time. In G. Li & L. Wang (Eds. ), Model minority myth revisited: An interdisciplinary approach to demystifying Asian American education experiences (pp. 1-20). Charlotte, NC: IAP. Li, G. (2008). Other people’s success: impact of the “model minority” myth on underachieving Asian Students in North America. In G. Li & L. Wang (Eds. ), Model minority myth revisited: An interdisciplinary approach to demystifying Asian American education experiences (pp. 213-232). Greenwich, CT: Information Age Publishing. Brock, C., Case, R., Pennington, J., Li, G., & Salas, R. (2008). Using a multimodal theoretical lens to explore studies pertaining to English learners in the visual and communicative arts. In J. Flood, S. Brice-Heath & D. Lapp (Eds. ), Handbook of research on teaching literacy through the communicative and visual arts (pp. 51-64). Mahwah, NJ: Lawrence Erlbaum. Li, G. (2007a). Parenting practices and schooling: The way class works for new immigrant groups. In L. Weis (Ed. ), The way class works: Readings of school, family and the economy (pp. 149-166). Routledge, NY. Li, G. (2007b). 跨文化环境中的英语语文教育 (Literacy instruction in cross-cultural contexts). In J. Ji & N. Jian (Eds. ), 应用语言学 (Applied linguistics). Beijing, China: Peoples University Press of China. Li, G. (2007c). Home environment and literacy engagement: Case study of a Vietnamese refugee family in America. In C. Park (Ed. ), Asian Pacific education: Acculturation, literacy development and learning (pp. 77-104). Greenwich, CT: Information Age Publishing. Li, G. (2007d). The role of parents in heritage language maintenance and development: Case studies of Chinese immigrant children’s home practices. In K. Kondo-Brown (Ed. ), Multiple factors and contexts promoting heritage language: Focus on East Asian immigrants (pp. 15-32). Amsterdam, the Netherlands: John Benjamin Publishing Company. Li, G. (2006a). Crossing cultural borders in the US: Case study of one Sudanese refugee family’s experiences with urban schooling. In L. Adam & A. Kirova (Eds. ), The effects of global migration on children, families and schools (pp. 237-249). Mahwah, NJ: Lawrence Erlbaum. Li, G. (2006b). A scholar’s response to “Principle 2: Adolescents participate in respectful environments characterized by high expectations, trust, and care.” In B. Sturtevant, F. Boyd, W. Brozo, K. Hinchman, D. A. Moore, & D. E. Alvermann (Eds. ), Principled practices for adolescent literacy: A framework for instruction and policy (pp. 38-41). Mahwah, NJ: Lawrence Erlbaum. Li, G. (2006c). Navigating multiple roles and multiple discourses: A young Asian female scholar’s reflection on within-race-and-gender interactions. In G. Li & G. Beckett (Eds.). “Strangers” of the academy: Asian female scholars in higher education (pp. 118-133). Sterling, VA: Stylus Publishing. Li, G., & Beckett, G. (2006). Asian female scholars’ new stories of self: Re-constructing culture and identity in the academy. In G. Li & G. Beckett (Eds. ), “Strangers” of the academy: Asian female scholars in higher education (pp. 1-11). Sterling, VA: Stylus Publishing. Li, G. (2004). Family literacy: Learning from an Asian family. In F. Boyd, C. Brock & M. Rozendal (Eds. ), Multicultural and multilingual literacy and language practices (pp. 304-322). New York: Guilford Publication.